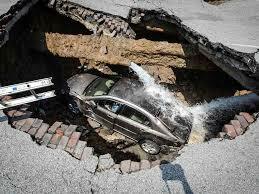 Gigantic Toledo Sinkhole Swallows Car! 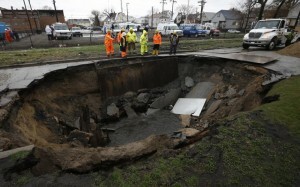 Gigantic Toledo Sinkhole Swallows Car! The woman who was taken to a hospital after her car was swallowed by a sinkhole in central Toledo has been identified as Pamela Knox. Knox, 60, of Toledo, was taken to Toledo Hospital to be checked out. However, she did not appear to be injured. 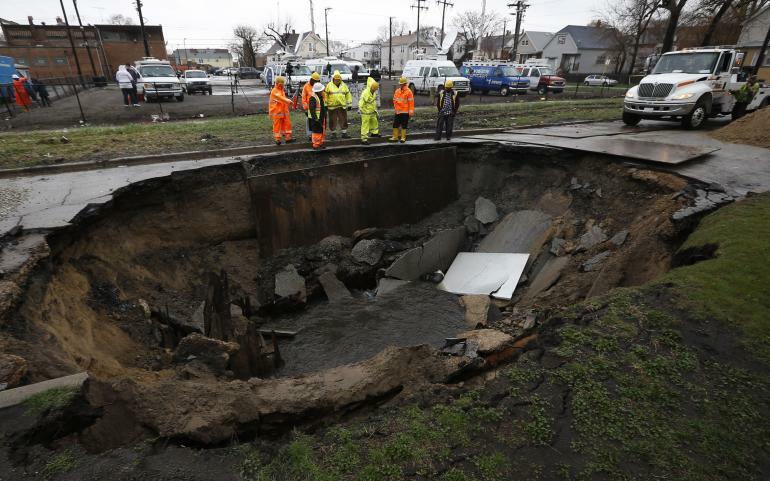 Police said Ms Knox was driving southbound on North Detroit Avenue when her car fell into a large sinkhole near Bancroft Street. He said the woman was not hurt, just shaken up. It was not immediately clear whether she was transported for observation. “She saw the car in front of her starting to go into the whole, and it managed to drive on, but she could not”, Sergeant Heffermen said. They were lucky the incident happened earlier in the day, before traffic became heavy. It will take city crews about 4 to 5 days to repair the road. Smartcar Flipping- A New Trend?